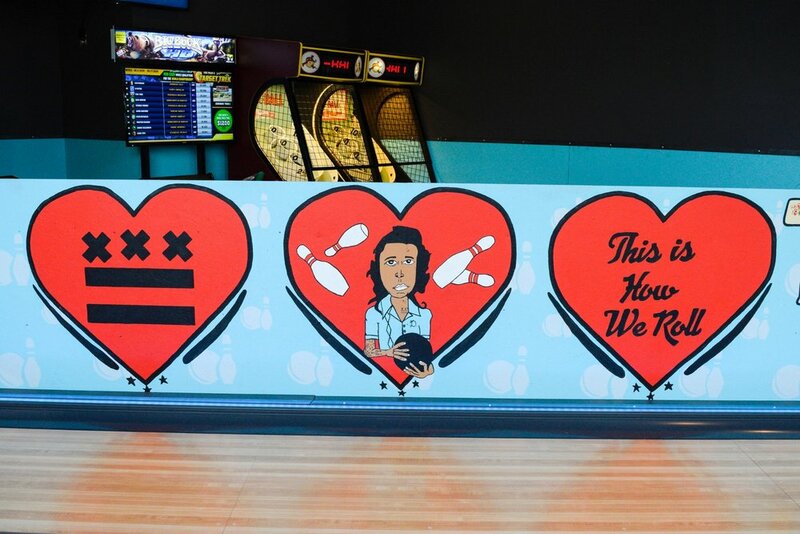 The Eleanor was built as a neighborhood ‘bowling lounge’; a comfortable, casual dining and drinking establishment with the addition of skee ball, mini bowling and other games. We provide honest, handmade food in a wholesome, straightforward way. The Eleanor is proud of our DC roots and we’ll strive to be a part of, and add to, our community with fresh, local, seasonal and handmade food, local beers, craft cocktails and approachable wines. RESERVE A LANE & PREPAY ONLINE! WE offer one hour slots FOR UP to 16 people. WALK-INS ARE ACCEPTED ON A WAIT LIST BASIS. Ask about event open bowling prices. WE CAN ACCOMODATE UP TO 300 PEOPLE FOR PRIVATE EVENTS! Looking to book a reservation for 20 or more people? We can accomodate you in one of our semi-private events spaces! There is no room fee to book a special event or buyout, but your party must meet a food & beverage minimum. Choose options from our private event menu, or ask us about a customized dining menu. Let us know how you'd like for us to serve you!